It is always more interesting when the clothing collection has the story behind it. 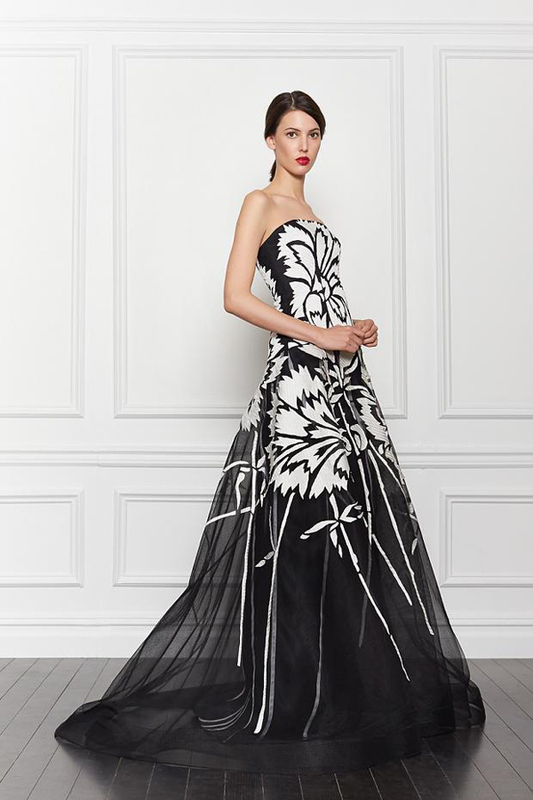 In fact sometimes it is better to have the simpler story rather than the complicated one and this Carolina Herrera pre-fall 2013 collection is one with the story: it can boast the backstory that is simple but yet very sentimental, so it is almost impossible to define whether it was true or not. 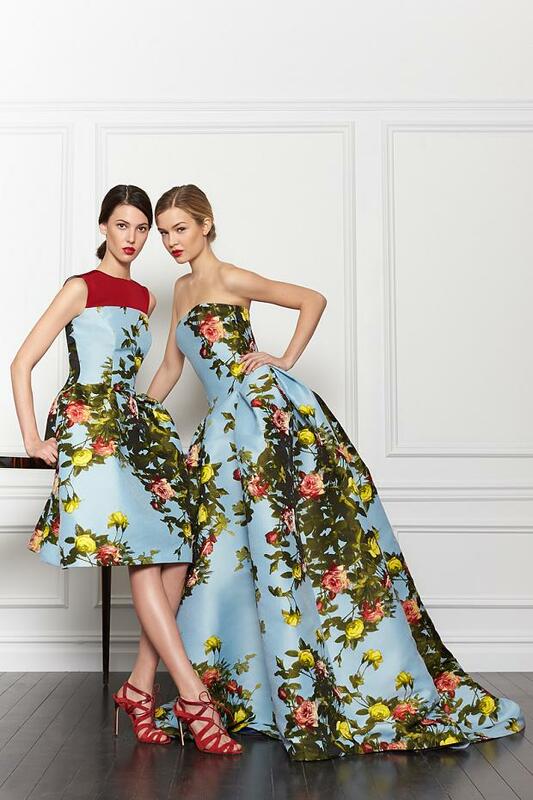 The story behind the pre-fall 2013 collection takes its roots in Herrera’s gift, she received from her husband Reinaldo. It was a specially made compact with the sparkling image of the sun on one side and a diamond-incrusted crescent against the enamel dark blue sky on the other side. So, these images with “the night and day” theme became the source of inspiration for Carolina in creating her pre-fall 2013 collection. 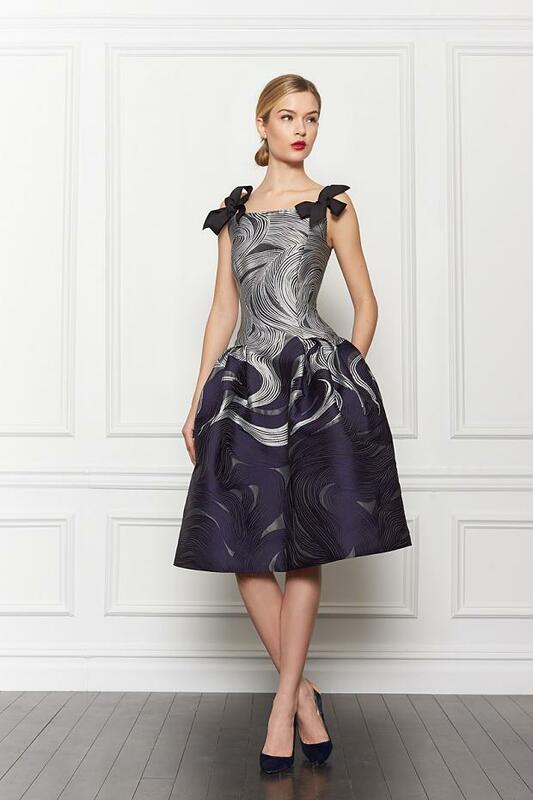 Herrera’s day-themed dresses feature the hound’s tooth and can boast the statement silhouettes. They are performed in the 70’s styles with intensified boldness. The daytime also inspired the garden party dresses with light textures and green leafy patterns. But the real spotlight of the collection are the nighttime-inspired garments. A star constellation of shinny metallic dots appear against the dark blue fabric and create the beautiful evening gowns. 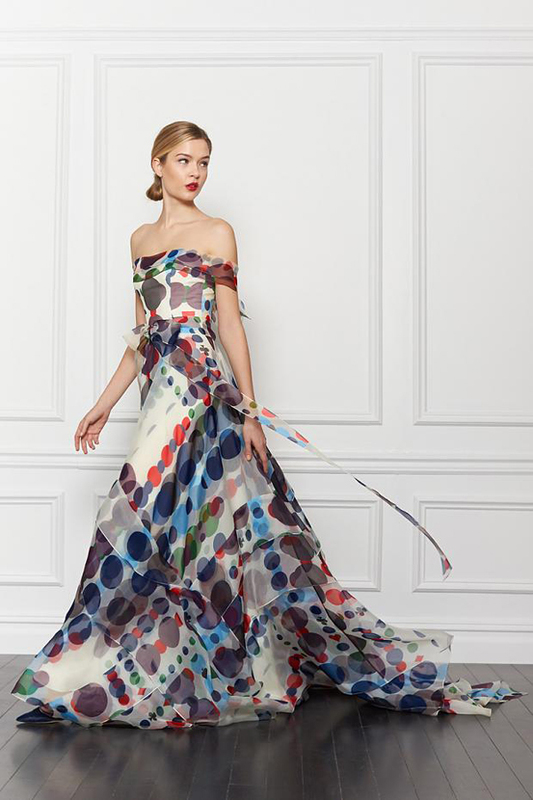 Herrera found the special charm in the night sky and decided to transfer it into her pre-fall 2012 collection and really hit the target.